For the SAT/ACT test takers my plan is usually for a student to take the practice test at home or school, then grade it and come back to me with the results. We will diagnose your problems (as in “didn’t have enough time”, “don’t know how to approach a problem like this”, “didn’t read the problem carefully”, “made a calculation error”, “didn’t know the definition” and so on) and work specifically on that. I always customize my lesson programs in accordance with student's' need, for example, I can give you practice problems that you can work on in between lessons and it will help you to solidify your understanding. I create a very comfortable learning environment, you will enjoy your intellectual achievements during our sessions. I worked successfully with students of all levels, including those who were struggling with elementary level math, those who needed more help with the GT program, participated at Math Olympics, or struggle with the high school or college classes. My students’ grades and self-confidence showed improvement even after the first class. I have many years of experience teaching mathematics, in several countries and to different people. I worked as a university instructor, volunteered with struggling kids at local schools, tutored for test preparation, and led activities at a summer camp for gifted children. I also worked a lot with homeschooling community. I worked successfully online and offline, in a group setting and one on one. I have a master's degree in Mathematics from Cleveland State University and could help with a deep understanding of my subjects well behind the school level. It will help you later in your study and work. My students not only improve the grades and move up in a class rank but also like math much more after working with me. Some of them actually stopped being afraid of math and started to enjoy it! I am flexible with time. I do have the 24-hour cancellation policy and also my students have an opportunity to reschedule the class they cannot attend. It is important to me that my students have a choice to work with me online, so there are fewer chances of weather-connected emergencies in our work together. Marina delivers an exceptional lesson experience and ranks in the top 15% of our teachers nationwide. I've started to give private lessons on different areas of Math and then people started to ask for the Russian also. I was teaching Precalculus and also tutored various math subjects in different tutoring labs at Cleveland State University in Ohio. this is a popular Russian tongue twister that helps us to get used to R, L, R' and L' sounds. 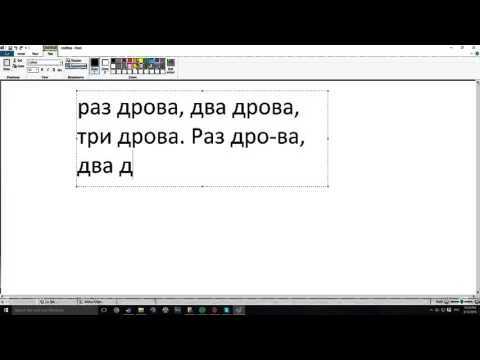 Russian tongue twister.The words are very simple to learn and somewhat hard to say fast. she is the best math instructor i have ever had!!! For the first class Christopher was very off key. What a great 45 minutes he was rusty to say the least. Marina is very patient, knowledgeable and professional. Love the way Marina teaches. Thank you. Great first lesson with my son, thank you! We are very thankful to our instructor. She makes sure the subject is understood and not memorized. One could see that she has passion for the class and it looks like that passion is contagious. Very helpful!! She is happy to work with my goals! Marina is able to cover a lot of material at each class. She helps her students feel comfortable and confident with math. Thank you for teaching me how to express myself in Russian better. My ability to communicate with Russian native speakers improved significantly. What a life saver! My son was having a hard time with Calculus. Even if I could help him, the stress level would be unbearable. Thank you for teaching me to speak Russian. I've learned so much from you. We took lessons from Marina through skype for our two children. The focus was on developing more fluent reading and writing skills. Marina offered a variety of frequently changing activities to keep my children engaged throughout each lesson and the course of the study. Thank you so much for teaching me Russian. I've heard that if you're bilingual you can have a brighter future.